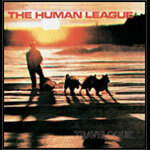 The Human League are, of course, famed for the "Dare" album and THAT song, but less well know about them is that "Dare" was preceded by two albums in their own way as important as that synthpop masterpiece. Virgin have rereleased these two classics with a host of added rarities and extras to rectify that. 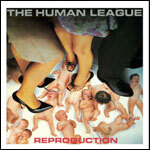 Developing out of their earliest days as The Future, The Human League Mark I had more in common with their fellow Sheffield band Cabaret Voltaire and the Industrial Records bands than with polished synthpop Phil Oakey came to pioneer when the band split into Heaven 17 and The Human League Mark II. Even in the early days, though, the League had a stronger sense of melody than any of their contemporaries at the time and showed far more of a Kraftwerk influence than the likes of SPK or Throbbing Gristle. However, their sound was certainly not pop music, harsh minimal electronics with Oakey's voice far more droning than it would become. Through both albums there's a strong thread of humour, whether it be the futurist nightmare about a new record (the now even more humorously out-dated 'The Black hit of space') on "Travelogue" or 'Empire state human' on "Reproduction", the classic track about wanting to be tall, tall, tall that's still regularly played in alternative clubs. "Reproduction" is the more varied of the two as they had begun to experiment with numerous different styles and Phil's voice as shown on the version of 'You've lost that loving feeling', which is backed, in proper industrial style, with a sparse discordant sound that contrasts with the singing. Much has been written about how influential these albums were, basically writing much of the template for the emergence of the various forms of dance music in early '80s Detroit. They're continued influence was most recently shown when Liberty X samples 'Being boiled' from "Travelogue" on 'Being nobody'. These two albums are, simply put, essential, so much so that I now have them on CD and vinyl.